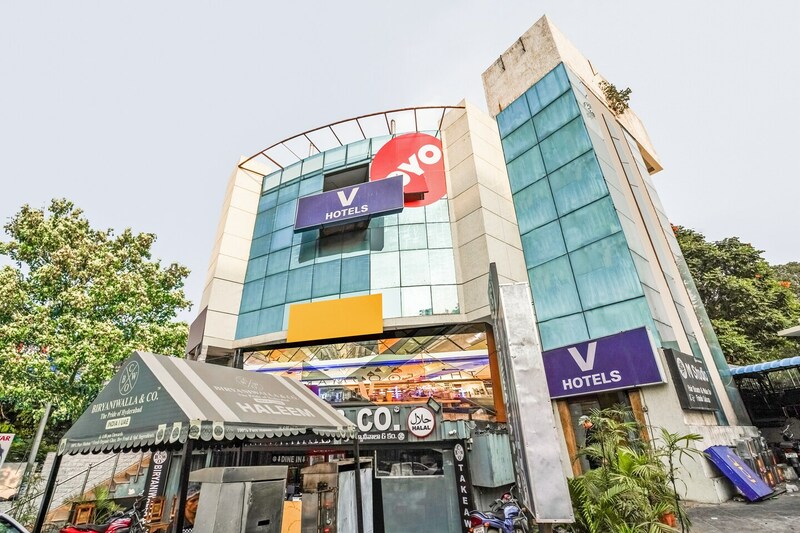 Located in the heart of Hyderabad, OYO 5527 V Hotels Banjara promises a great experience to the guests at affordable rates. Maintained by a skilled and friendly staff, the OYO ensures you have a good stay. The property offers AC, Geyser, Mini Fridge and more. Head out to visit the key attractions of Hyderabad like Birla Mandir, Jamia Masjid and B.M. Birla Science Museum. If you run out of cash, there is IndusInd Bank, Karnataka Bank and Indian Overseas Bank very close to the hotel.